Specialty: Pro. Liu, good at comprehensive treatment for various tumors, especially has higher attainments in gynecological cancer treatments. Pro. Liu Lvguang, former oncologic director of Tongji Medical College Union Hospital, Huazhong University of Science and Technology, now is the incumbent international technical exchange director. In 50 year of Prof. Liu’s career, patient-centered is the goal of Prof. Liu’s serving principle. She has been practicing in this principle all the time. She loves patients and takes care of them as families, helps them get rid of pain with her professional knowledge. From 1958 to 1963, Pro. Liu studied in Jiangxi Medical College. In 1978, she was admitted to Shandong Medical College for graduate studies. After graduate study, Pro. Liu has been working on clinical oncology and has been working on clinical oncology and has accumulated rich clinical experience. In 1988, she worked as oncologic deputy director of Tongji Medical College Union Hospital, Huazhong University of Science and Technology. She has engaged in medical work for over 50 years. With abundant medical knowledge, Pro. 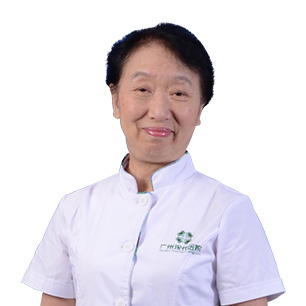 Liu has served as a member of Chinese Medical Association Wuhan Oncology Society, director of Hubei Anti-Cancer Association, member of Hubei Chemotherapy Professional Committee, member of Hubei Breast & Cervical Cancer Professional Committee, and member of National Association of Geriatric Oncology etc. Prof. Liu was often invited to participate in various international academic oncology conferences, such as Asian Clinical Oncology Society, the 14th Oncology Conference of Asia-Pacific region, and the 8th World Lung Cancer Conference, etc. Interacting and exploring with cancer experts domestic and abroad, Prof. Liu has learnt a lot more advanced cancer treatment methods & technologies, and combined with her own experience in clinical practice. In addition, Prof. Liu has summarized her years of experience in cancer treatments, published more than forty pieces of papers in national and other levels magazines and a variety of professional journals & conferences.